Illuminated drone shows are the new laser light shows, at least judging by this video, which captures a performance by Intel drones set to the music of popular jam band Phish. Intel confirmed to Mashable that the performance features 500 Intel Shooting Star drones, purposely made for these sorts of light shows. 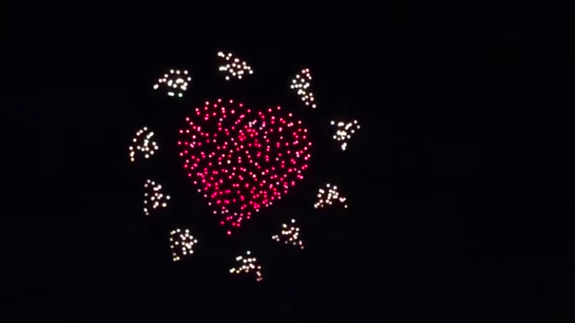 The drones are capable of 4 billion color combinations, and fly in various formations that were in response to Phish’s song “More,” from their 2016 album Big Boat.